What shouldn't I put into my septic tank? Will my garbage disposal hurt my system? Why should I pump my system if I am not having any problems? What is the biggest reason why I should have my system pumped out? I thought the bacteria took care of the solids and turned them into a liquid so I would never have to worry about build up in my tank? A friend of mine told me to put hamburger, fish, chicken, or yeast, down into my system so that I would never have any problems. They said these things would add extra bacteria to my system. Is this true? If my leach field fails, are there any chemicals or products that I can put into my tank that will fix it? I sometimes smell a septic odor in my house. Do I need to have my tank pumped? It has been 8 years since my system has been pumped. If I get it pumped, can I be assured that I won't have any problems with my leach field? How long should my system last before I need a new one? I had my tank pumped a few months back and now I have a plugged drain. Do I need to have my tank pumped again? A. It all depends on the size of your family. A family of 4 should have their tank pumped about every two years. A 2-member household should be every three years. Larger families should be pumped every year. Q. What shouldn't I put into my septic tank? A. No feminine hygiene products, paper towels, baby wipes, grease, or cigarette butts. The basic rule of thumb is, "If you don't eat it first, with the exception of toilet paper, do NOT put it down the drain." WARNING: Charmin, Kirkland, and Northern Quilted paper brands should NOT be used. They have too much cotton fiber and will not break down, causing baffle blockages. We suggest Angel Soft, Scott or Cottonell. Q. Will my garbage disposal hurt my system? A. Yes! Use your disposal in moderation. The disposal will put too many solids in your system. Eventually, it will cost you a considerable amount of money and headaches. These nasty machines were made for city sewers, not septic systems. If you like to use the disposal, you may want to pump more often. My advice is to throw it out the window. Q. Why should I pump my system if I am not having any problems? A. In most cases it is too late to save a system after you have developed problems. It is like changing the oil in your car after the engine has already blown up. Q. What is the biggest reason why I should have my system pumped out? A. As far as the system is concerned, you are protecting the leach field from the solids getting into it. If the solids get in there, they can plug up the porous rocks that let the gray water absorb into the ground. The only place left for the water to go is right back into the house. When this happens, the leach field must be dug up and replaced with new leach rock. This can be very costly, not to mention very messy. Q. I thought the bacteria took care of the solids and turned them into a liquid so I would never have to worry about build up in my tank? A. Yes, that is true to an extent. Your bacteria must work perfectly all-year-round and to the maximum extent. Your tank must stay at a constant temperature of about 90 degrees. You would need to do a bacterial analysis everyday. You would also have to not put any cleaners, bleaches, or other agents in your system that would kill the bacteria. Q. A friend of mine told me to put hamburger, fish, chicken, or yeast, down into my system so that I would never have any problems. They said these things would add extra bacteria to my system. Is this true? Q. If my leach field fails, are there any chemicals or products that I can put into my tank that will fix it? A. Mother nature can fix the problem, but this process may take years and most people can't wait that long between showers. As for chemicals or products, we have not been able to find any that can cure the problem any quicker. The remedy that can be prescribed for a failing leach field is pumping your tank on a continuous basis or replacing your leach field. Both of these remedies can be very costly. Q. I sometimes smell a septic odor in my house. Do I need to have my tank pumped? A. Not necessarily. If you are not backing up, the smell is coming from a P-trap that is dry. You can get rid of the smell by filling up the P-trap with a couple cups of water. The most common P-tap to go dry is the floor drain in the laundry room, but any P-trap can dry up if not used for a long period of time. In the winter time, your roof vents may frost over causing the system to pull air throughout your drains which will also leave your P-traps dry. When your P-traps are dry, they let the sewer gases into your house. Q. It has been 8 years since my system has been pumped. If I get it pumped, can I be assured that I won't have any problems with my leach field? A. If you drive a car for 100,000 miles without changing the oil and then do so, can you expect the engine to last as long as if you had done your regular maintenance? If you haven't destroyed your system, it's not because you're not trying. Talk septic with a few friends and you will find that many of their friends have already had to replace their system. Q. How long should my system last before I need a new one? A. That's a tough one. A system that has been installed correctly, kept up with good maintenance, along with users with common sense and good surrounding ground, about 25 TO 40 years. Q. I had my tank pumped a few months back and now I have a plugged drain. Do I need to have my tank pumped again? A. 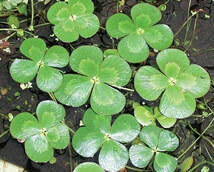 If Shamrock pumped your tank, most likely not; unless we told you that you had a bad leach field. In most cases something got flushed down the toilet or put down the drain that shouldn't have been. All this means is that your sewer line is plugged and that the lines need to be snaked out. First, check you’re clean-out next to your house, (if you have one) and see if there is standing water in your main line. If it is dry, then the plug is in the house and the tank is not your problem. If there is standing water in the main line, the problem is from that point out. Next, check your tank with a good flashlight and see if there is a 6 to 10 inch air gap in the tank. If there is, then the plug is from the clean out next to the house and should be snaked out. If the water is all the way into the pipe and you are looking down it, then you will need to be pumped out and repairs need to be made to your system; sometimes just a bad line leading out to your leach field and sometimes the whole leach field needs to be replaced.